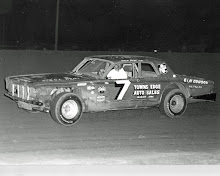 Boone, Iowa (June 20, 1971) - Gene Schattschneider, Algona, fought his way past Rich Green, Webster City, to grab the lead in the super late model feature at Boone Sunday night and pulled away to take his second feature of the year. Weather forced the regularly scheduled Saturday night program to be postponed to Sunday night. 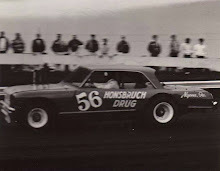 Both Schattschneider and point leader Denny Hovinga, Laurens, had to overcome mechanical problems in preliminary events to finish one-two in the feature. In the first heat, Schattschneider was second on the last lap, but dropped to fourth as teeth sheared off a gear in the quick-change rear end. In the semi-main, frame work holding the entire rear end of Hovinga’s car snapped. Hovinga had repairs made in time for the feature. 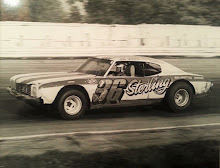 Arnie Braland of Boone, a three-time feature winner this year, battled with Rich Green, Webster City, who has won the feature once, for second until Braland’s Chevelle developed engine trouble. Hovinga then moved up and challenged and took Green for the number two spot. Arlo Dorenbush of Boone also had trouble keeping the rear wheels under his car during the feature. Dorenbush was clipped by another Boone driver, Darwin Madden, and the right rear spring came apart. In the opening race of the night, Braland picked up his fourth super late model trophy dash of the year. He started on the pole and led all the way. Del McDowall, Ames, proved how tough he is to pass in two events. In the first heat and the semi-main, he started in the pole position, and no one ever passed him in either events. Earl Tice, Ames, made fourth place consistently Sunday night, finishing in that position in the trophy dash, second heat and feature. In the semi-main, he was forced out with car problems. 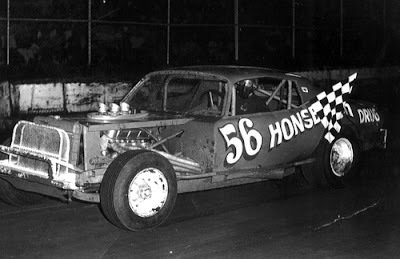 Lynn Ballard, Ames, left the track unnoticed during a heat race. 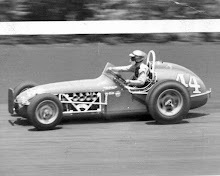 While the crowd was watching a battle for position on the last lap at the west end of the track, Ballard’s steering gave out in the number one and two turns and he drove over the high bank. He remained upright, and had the trouble fixed in time to come back for a third place finish in the B-Main. Fred Yorgensen of Ames finished right behind Ballard in the B-Main. 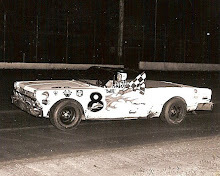 Sportsman driver, Elmer Pollock, Adel, had a streak of luck which gave him first place in the sportsman feature. Running a distant (almost half a lap) second with two laps to go, Pollock moved up behind leader Glenn Woodard, Des Moines, on a restart. The restart was required when Charlie Ellis, Ames, spun out in number two turn just as Woodard took the white flag. Since not all cars had finished the next-to-last lap, the race was restarted with to laps to go. Woodard held onto the lead for the first lap, but on the backstretch of the secondly dropped back as if he thought the race was over and Pollock took over the number one position at the checkered flag. Woodard recovered to finish second.